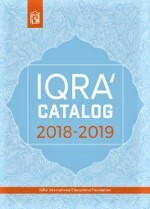 This textbook presents an examination of the Qur’an from Sûrah an-Nâs (114) to Sûrah ash-Shams (91). It presents each sûrah with its transliterated Arabic text, as well as the English-language translations done by both Yusuf Ali and Muhammad Pickthall. Each sûrah is reduced to its component Arabic vocabulary, making memorization and comprehension straightforward. The sûrahs are arranged in reverse sequence in order to facilitate learning.